Offering free WiFi, this hotel offers on-site dining. An outdoor pool is located on site. A 37-inch flat-screen HDTV with premium satellite channels is featured in each room at DoubleTree by Hilton Hotel Flagstaff. 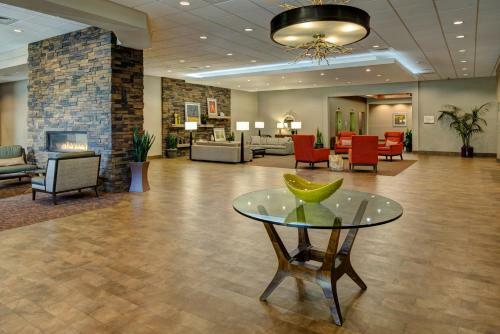 Experience relaxed elegance, modern business and leisure amenities, spacious accommodations and a signature DoubleTree chocolate chip cookie when you stay at this friendly Flagstaff hotel located near Historic Downtown and NAU.